Crossfit Speed Jump Rope Professional Skipping Rope For MMA Boxing Fitness Skip Workout Training With Carrying Bag Spare Cable. ​Premium quality professional design: Aluminum alloy handles and PVC coated steel wire cable. Fully adjustable: The jump rope is easy to adjust by using two sliding screws and collars that sets the handles at a specific length on the cable. 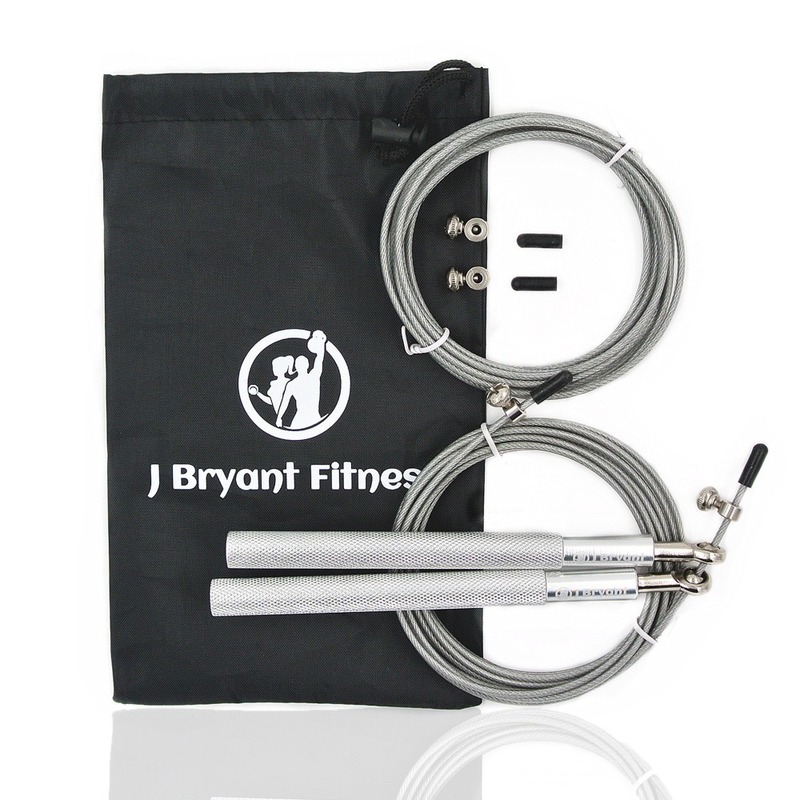 Cut off the excess cable length for convenience, you will have your own sized jump rope. Easy to carry: The lightweight and small skipping rope is ready to go wherever you are and only requires small space to jump in without weather or location concerns. We also prepare a free carrying bag for you. Jump Rope also is a best training exercise for WOD, MMA, crossfit, improve your double unders and even triple unders. You will never miss a cardio workout session. Send us an email if you need spare rope.